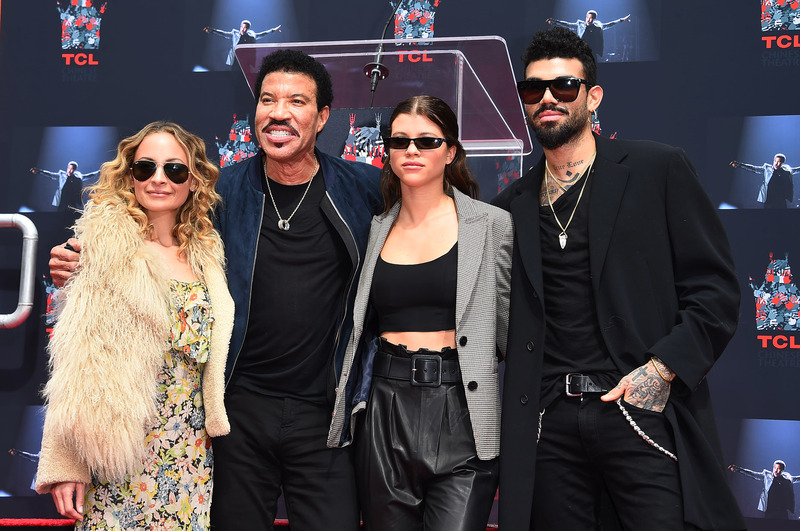 On March 7th, Nicole Richie and her siblings Miles and Sofia, celebrated their father Lionel Richie at his Hand and Footprint Ceremony. The event took place at the TCL Chinese Theatre in Hollywood, California. Joining the support was Joel Madden, Lionel’s ex-wife Brenda Harvey and current girlfriend Lisa Parigi. I am so proud of my dad for not only his ceremony yesterday, but for being such a beacon of light, that it's magnetic energy pulls in everyone around him. Dad, NO ONE loves to be celebrated more than you, but we are all so happy to do it and to have our day filled with pure joy, constant laughter & unconditional love. I love you ♥️♥️ #ShowtimeBaby!!! Whilst at SVEDKA Vodka’s Broken Resolutions Bash, Nicole Richie spoke to PEOPLE about her and her sister Sofia Richie’s different styles. She also spoke about her vow to make her hair healthy again after she dyed it pink and purple during the past few years. One of the perks of being in a high fashion sibling pair (think: Bella and Gigi Hadid, or Suki and Immy Waterhouse) is that you get to merge two fabulous closets into one fashionista’s paradise. But that’s not the case for Nicole and Sofia Richie, says big sis Nicole. While Sofia generally opts for a designer bomber, some slashed denim and a pair of Yeezys with some colored lens aviator sunglasses, Nicole takes cues from the ’60s, donning anything that sparkles or has lace with a vintage pair of Levi’s 501 jeans and lots of gold accessories. And it’s very apparent that just from looking at their oh-so-put-together looks that neither of them need style advice from the other. “I don’t know if I’ve given her any [style advice],” Nicole says about Sofia becoming a young style icon on her own. But there is one thing Nicole could easily give anyone advice on: how to replenish your healthy locks after trying nearly every hue in the rainbow (from her natural brown to purple to blue to pink to platinum). “Right now, I’m doing nothing [with my hair],” Nicole says of last year’s vow to wear her hair pulled back in a bun whenever possible to try to get it healthy. While this could be the end of Nicole’s color changes, she’s keeping the haircuts coming. Nicole Richie shared this photo of herself with her sister Sofia and brother Miles for National Siblings Day. Nicole also posted the following on Facebook. 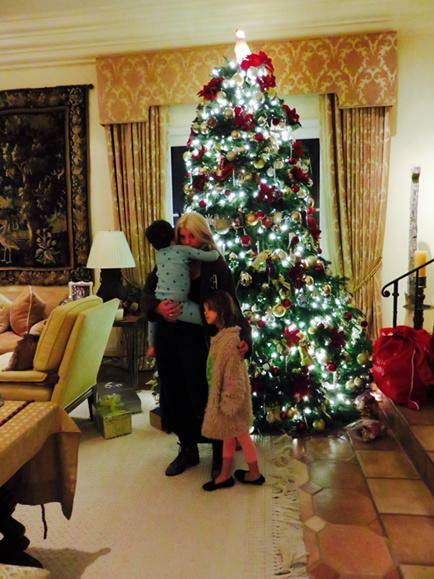 Nicole Richie’s mother, Brenda Harvey Richie, uploaded some cute photos on Twitter of Harlow and Sparrow adding the finishing touches to the Christmas tree. Check them out below. I also added a bunch of other cool photos from Brenda’s Twitter account – some great throwbacks in there – which can be found here. 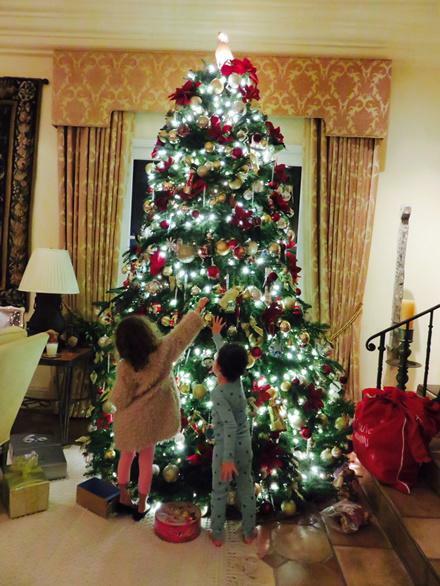 Harlow & Sparrow finishing The Tree! Harlow & Sparrow with Auntie Sofia! Nicole Richie uploaded this photo of her sister Sofia to her Instagram account, expressing her envy. Yestersy, November 18th, Nicole was at the launch of her new House of Harlow 1960 Home Fragrance Hosted by GILT at Chateau Marmont’s Bar Marmount. In attendance were many of Nicole’s friends such as Samantha Ronson, Jennifer Meyer and also her husband Joel and sister Sofia. 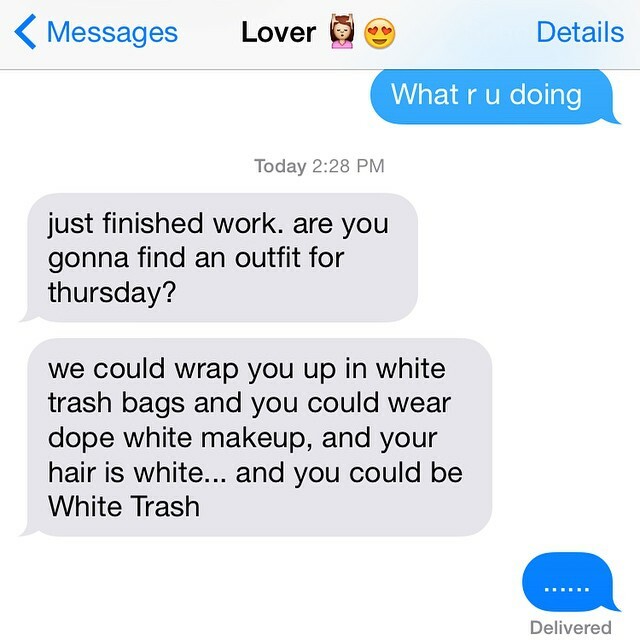 Sofia posted a photo to her Instagram of a screencap of her conversation with Nicole.